One of the many features Wireshark provides is the name resolution for various protocol layers, and I have to admit that – at least for me – some of them are really helpful while others (well, one of them, to be more specific) annoy the hell out of me. I really like MAC layer resolution, and often I enable network layer name resolution, but I really do not like protocol name resolution. Oh, and then there is GeoIP resolution, which is really helpful in some cases as well, but it takes a little time to set it up. Update: There’s a newer article for GeoIP setup in Wireshark 2.x here. 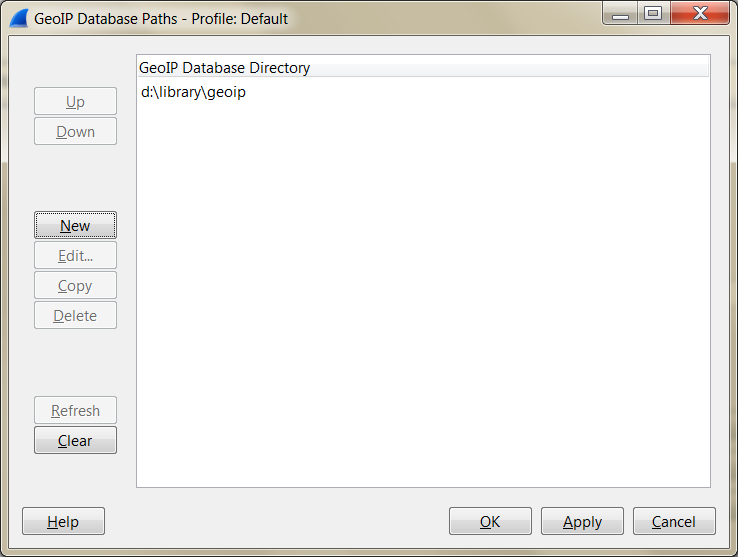 GeoIP resolution requires you to download a couple of database files first. I usually use the ones available for free at MaxMind (the file format we need for Wireshark is now called “legacy”) They’re not as exact as the ones they provide for paying customers, but usually they should be good enough in most cases. 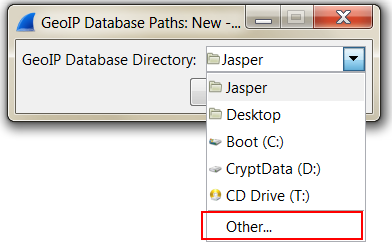 Download the gzipped files for “country”, “city” and “ASN” and unpack them in a directory of your choice. If you run Windows and do not have a tool that knows how to unpack gzipped files you might want to take a look at 7Zip – it’s free, too. You should end up with 3 or 6 .dat files, depending on whether you only got the IPv4 databases or also downloaded the IPv6 files. That’s all for now, have fun tracking IP locations!